I’ ve been living on Gili Air island for a year now, its in Lombok Indonesia. I run around the island in 30min, which can give you an idea of the size of the island, sometimes I paddle board out at sea and look back at this tiny little island and wonder how I manage to live on such a small island… The reason used to be: Space Bar… Space Bar is a beach bar with a psychedelic atmosphere. This bar brings tribes from all over the planet to Lombok Indonesia. In my opinion, Space Bar is the heart of Gili Air, this place has a soul. It brings quality people together, it generates creativity and radiant positive energy. Here, we share something real for a change. Aren’t you sick of pretending? In Space Bar authenticity of personality rules, freedom is prevalent and dancing can be done at every sunset. 10 years ago two undercover Swiss travelers arrived in Gili Air. The magical psychedelic island seduced them immediately. The locals were extremely laid back and lived in harmony with nature. There was no traffic, no police, no hassle, and magic mushrooms… At that time, tourism on the island was down. Tired of Thailand and Goa’s commercial Full moon parties, they decided to start free Psy- trance parties on the beach. 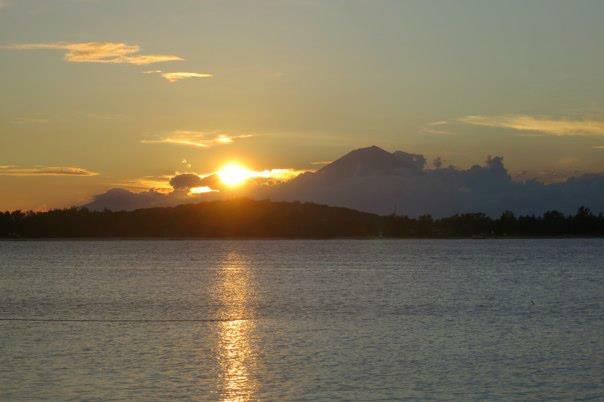 The main objective was to enjoy Gili Air’s magical spirit and help the locals. Gili Air’s “Beach Beats” were born, a combination of traditional locals and open minded Psy-trance travelers sharing the decks and the dance floor. This successful fusion between islanders and travelers has reached global recognition and continues growing to this day. Today some of the locals have become Space bar’s resident DJ’s and we still share the same dance floor and decks. Dj Abstract “Purple Hexagon Records”, a local Indonesian djs, has played his first international set in Home Club Singapore this March. Spacebar was evolving, from a secret location to a well- known international party location, which attracted international DJ’s like Ital or Klopfgeister and off course party crowds from all over the world. Parties were organized monthly. Fluorescent decorations, laser shows, fire spinning and circus workshops were all part of the every day’s Space bar experience. This little hidden paradise had an extremely relaxed atmosphere and enough action to keep the party crowds happy. The locals on Gili Air are extremely friendly. Many of the local Gili islanders prefer living on Gili Air, which results in a permanent population around 1500 people. This tiny little paradise is one of the rare places on earth where you can still develop a true relationship with the locals. You can create your own island family. Join us in paradise! The Space Bar Family is waiting for you! ← Can someone please explain to me why some people pay 1.7million$ for endangered Blue Fin Tuna? We are here now and heard from nearby bar called “Legend” that is is closed 😦 will try walking over after dinner to see of it’s really true. Friends back home in Singapore were recommending that place too.. Fingers crossed! Great article! I’m currently in Seminyak, Bali and planned on coming to your island. I was really looking forward to the Black Moon parties at Space Bar. Do you know when the next one will happen or if there’s a beach party every night? Would love to visit you guys. Anything happening around nov 16-20th 2013 ? Hello Spacebar Family 🙂 !!! Currently in Kuta Lombok, gonna ride my bike up to Gili Air for the full moon tonight, hopefully it is really tonight, hopefully u r still open and hopefully it’s gonna be fat 🙂 !!! Hello, are there any partys on 28th or 29th of September? And where is it located now? is there any black moon/psydelic parties around 11th-17th october on gili air?